Obstructive sleep apnea interferes with your sleep quality and overall health. Often all you need to correct your sleep apnea is a customized dental appliance like those that the expert team of dentists and technicians at La Michoacana Dental Clinic offer to residents of the Houston, Texas, area. Contact one of their two locations by phone or use the online booking agent to find out if a dental solution for sleep apnea is for you. When you have sleep apnea, you stop breathing briefly and intermittently during sleep — so your body awakens, sometimes unconsciously, leading to fragmented, poor-quality slumber. Sleep apnea occurs when the soft tissue in the back of your throat blocks your airway. During sleep, the muscles that usually keep this area open relax, so you’re more vulnerable to a blockage. You may have a genetic predisposition to sleep apnea. Being overweight or obese often contributes to the problem, but you’re also at greater risk if you have enlarged tonsils or adenoids, or dental conditions, including a large overbite. Gone unresolved, sleep apnea can increase your risk of serious health conditions. Disturbed sleep can lead to high blood pressure, heart attack, stroke, and depression. You may resolve mild cases of sleep apnea with lifestyle changes, including weight loss, quitting smoking, and reducing excessive alcohol use. But, you often need intervention from a health professional to change the mechanics in your throat that is causing the sleep apnea. 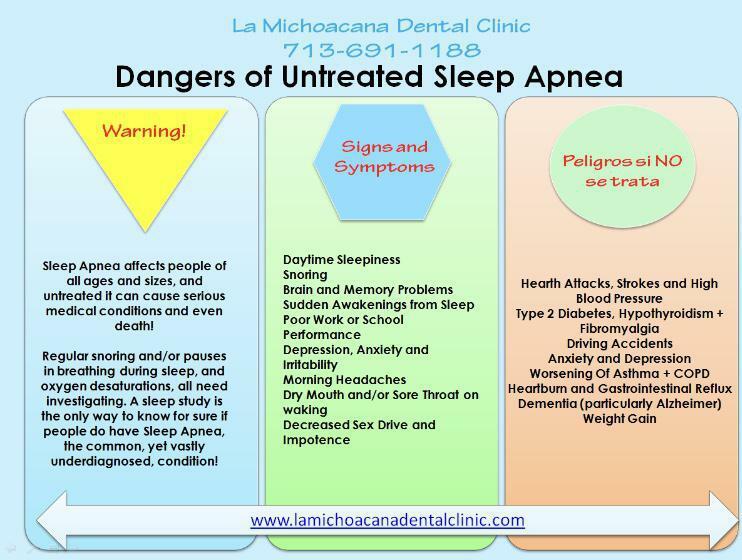 La Michoacana Dental Clinic uses the Medybite to screen patients if they have Obstructive Sleep Apnea in the comfort of their home. 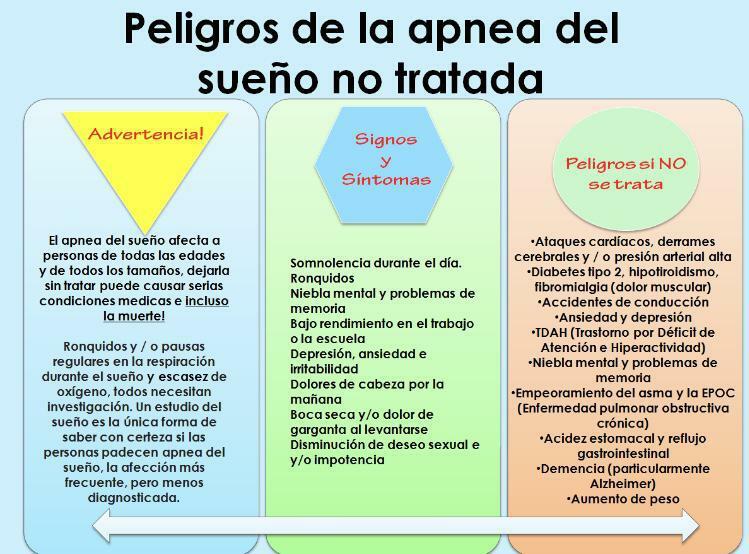 The diagnosis of OSA is done by the patients MD. With your doctor, you can discuss the several options to treat OSA. 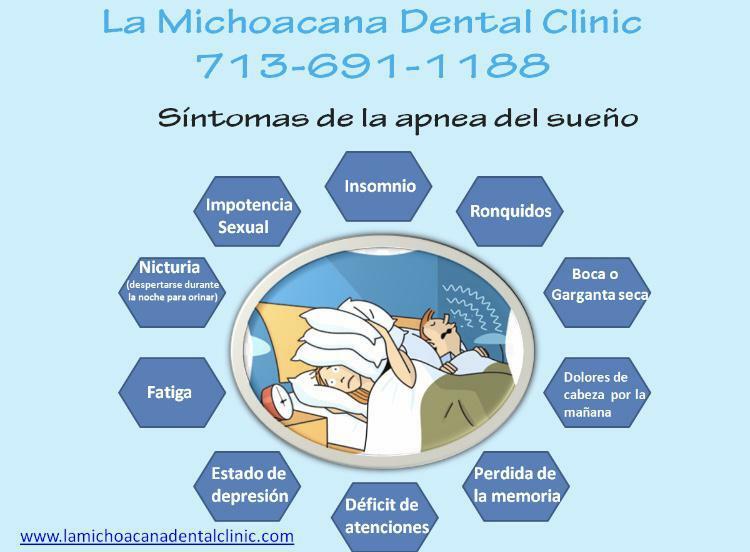 La Michoacana Dental Clinic uses the PROSOMUS MICRO 2 dental device that you wear only during sleep. It fits much like a sports mouthguard or retainer and supports your jaw in a forward position to help keep your upper airway open. Another treatment is the CPAP machine. The CPAP is a continuous positive airway pressure machine that you use during sleep. You wear a mask over your face that’s attached to a machine that constantly blows air into the back of your throat to keep your airway open. Most patients do not like to use the CPAP because The machine can be loud and uncomfortable. Some people feel that they are drowning from the air pressure. What are the Benefits of Oral Appliance Therapy for Sleep Apnea? Oral appliance therapy offers many advantages over a CPAP machine. It's more comfortable and silent so that you won't disturb your partner's sleep or yours. Oral devices are easy to keep clean and convenient for travel.